Keywords: Interference Filters, Thin Films, Color Compensation, Illumination. 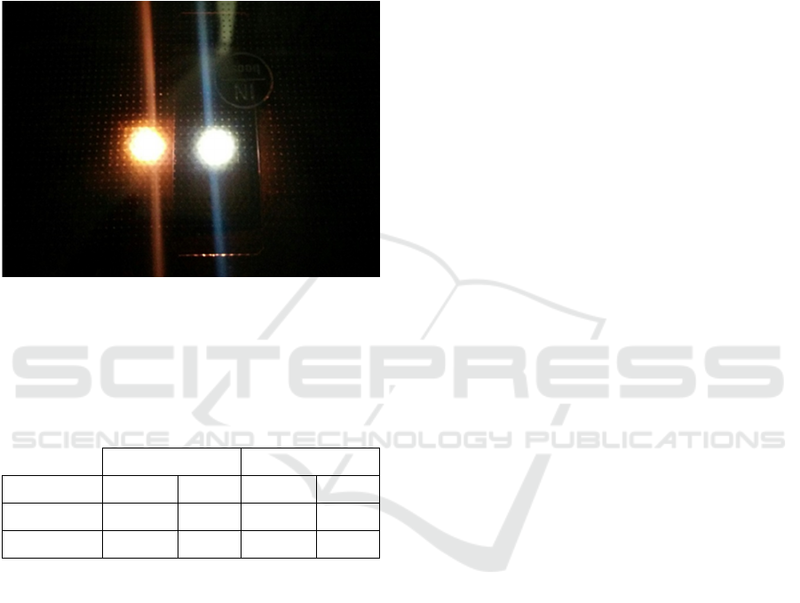 transmission of the ceramic glass used as the cooking surface, as it modifies the chromaticity of the LEDs. permits a perfect visualization of white LEDs across ceramic glasses. glass notably changes the chromaticity of the LED. Carretero E., Alonso R. and Pelayo C.
Compensation Filters for Visualization of White Leds through the Ceramic Glass in Induction Cooktops. chromaticity change for wide spectrum light sources. 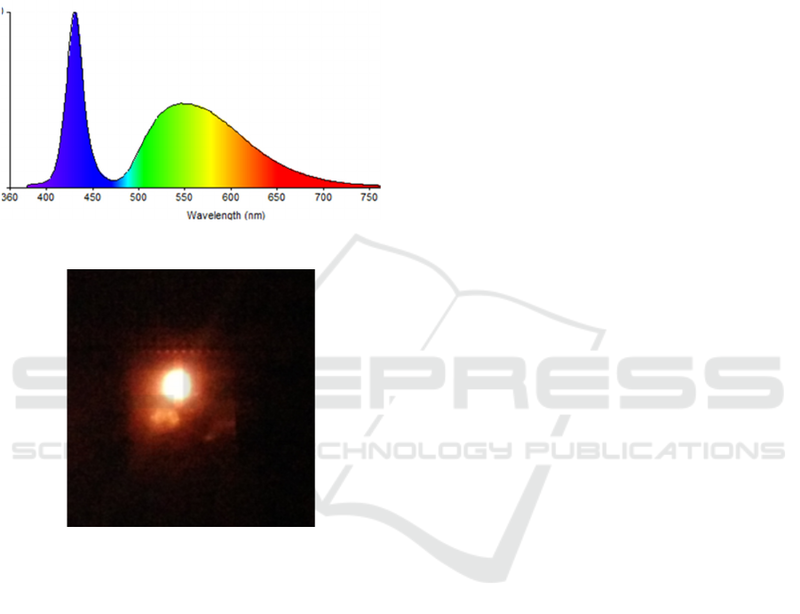 Figure 2: Visible spectrum of a white LED. dielectric thin films is a well-known technique (J. A.
Dobrowolski, 1995; Macleod, 2010; Thelen, 1989). maintained at room temperature during deposition. 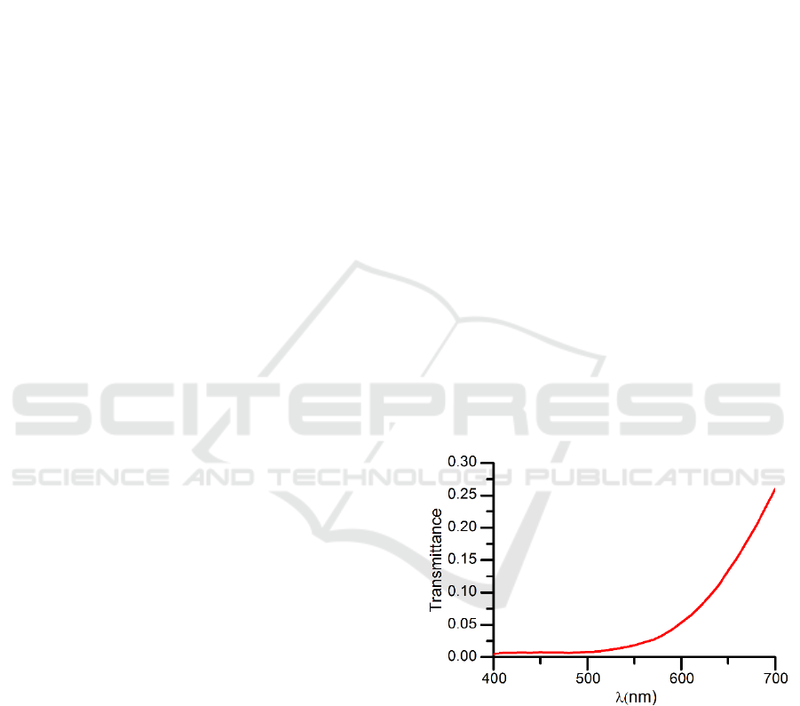 reactive sputtering from a Ti target (99.99% pure). compensation filter to the ceramic glass. 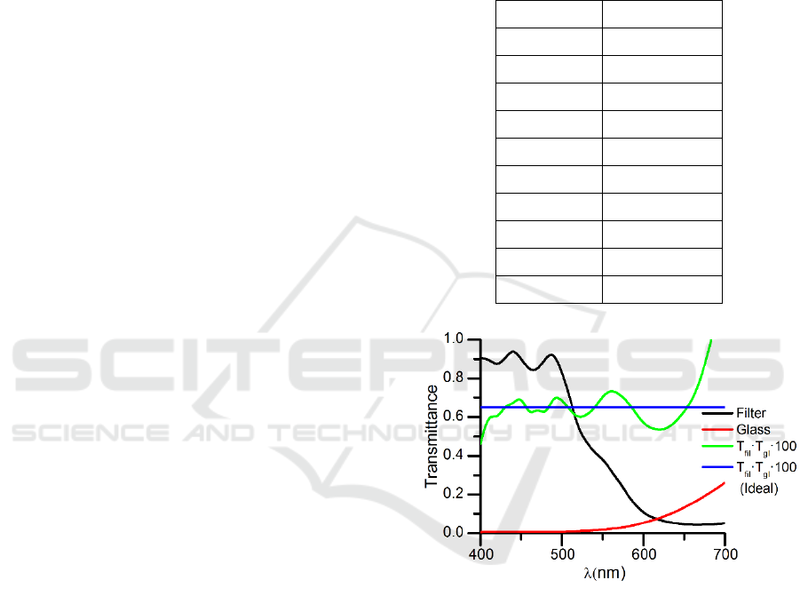 line) and for the real system (measured, green line). to correct the chromaticity change for white LEDs. goal of a good colour reproduction. the zone of the white colour (Table 2). spectra of the D65 illuminant and of a white LED. We thank Carmen Cosculluela for her valuable help. coatings, in: Handbook of Optics. McGraw-Hill. Deposition (PVD) Processing. William Andrew. Palik, E.D., 1985. Handbook of optical constants of solids. Thelen, A., 1989. Design of Optical Interference Coatings. Optical Thin Films. CRC Press.